Flying Star Cafe mobile ordering for convenient Pickup or Delivery. 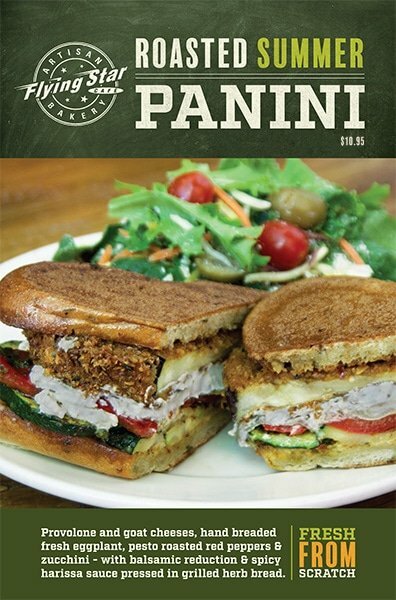 Enjoy seamless mobile ordering for convenient Pickup or Delivery from any of our Albuquerque cafes. Feeding a crowd? You can also place catering orders through our app! Since 1987, Flying Star Cafe has been Albuquerque’s go-to restaurant for handcrafted bakery items, locally roasted coffee, and made-from-scratch dishes that leave you wanting more! And now, ordering your favorites just got easier! 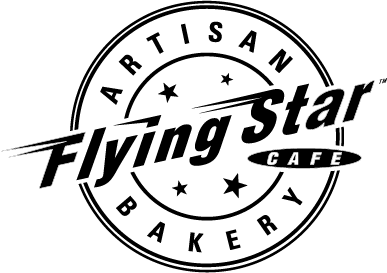 The full Flying Star Cafe menu offers all your favorite dishes, sandwiches, salads, drinks, and our handcrafted line of pastries and desserts. Order for Pickup or Delivery from any of our six Albuquerque locations. Save your favorites for faster and easier ordering next time..
Easy registration and the ability to reorder. Guest Checkout allows quick ordering without an account. Place your order now for any date in the future. Schedule orders from our full Catering Menu for pickup or delivery to your event. Thanx members earn rewards with each online purchase. At this time, the use of Gift Cards and the redemption of Thanx member rewards are not available during online transactions.